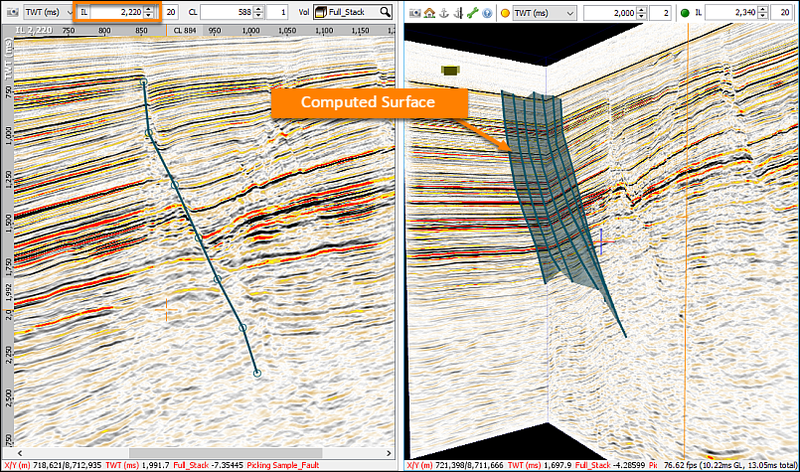 The fault picking tools allow easy structural interpretation in most of the Insight views. 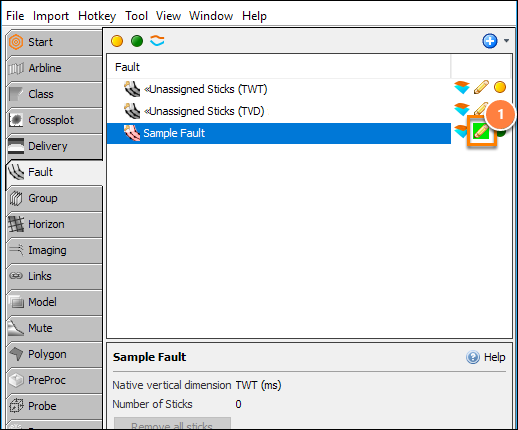 See the Faults (Overview) page for a video tutorial on using faults. 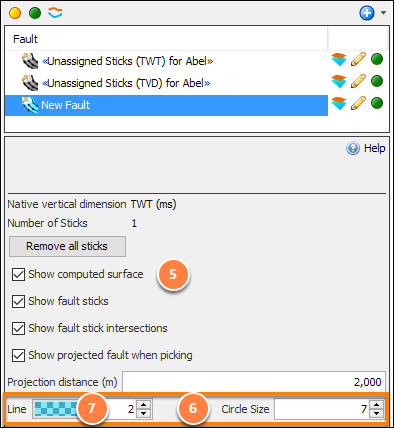 See Working with Unassigned Fault Sticks for a different approach. In the Fault tab, you will see that there are already two entries: Unassigned Sticks (TWT) and (TVD). To create a new fault, click on the Add icon at the top right corner of the window and select New Fault. Type a Name for the new fault and choose whether to pick in Time or Depth domain. 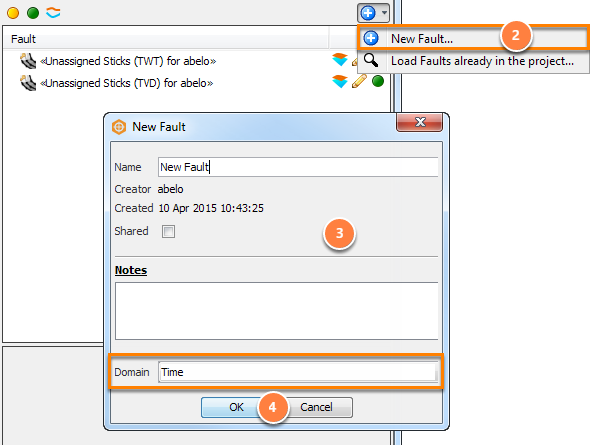 Click OK. A new fault item is added in the fault tree. In the Details Panel, select to Show computed surface. Any time a fault is changed, Insight automatically updates the fault surface. You may also change the colour and width of the fault sticks, or the size of the fault picking points. To change the colour and opacity of the fault sticks and surface, click in the colour box. In the Select Colour window, you can select a suitable colour and opacity. Click the pencil icon of the new fault that requires picking. Note: the background colour of the pencil will turn green in Edit mode. Open the section views (i.e. 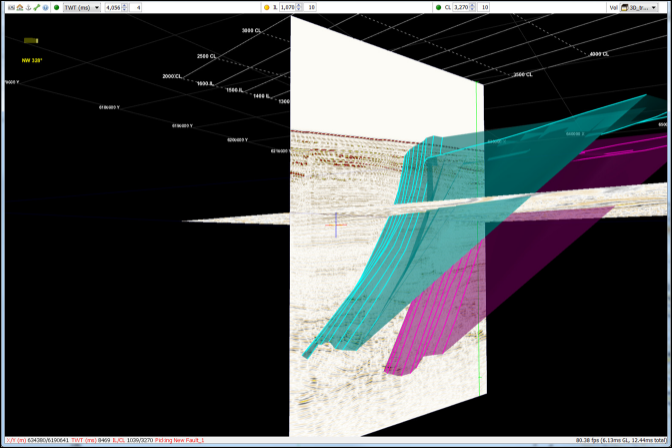 Map View, IL/CL View, 2D Line View, Arbline View, 3D View). Picking faults can be done on any view or in combination of views. Place the crosshair on the starting point and left-click. 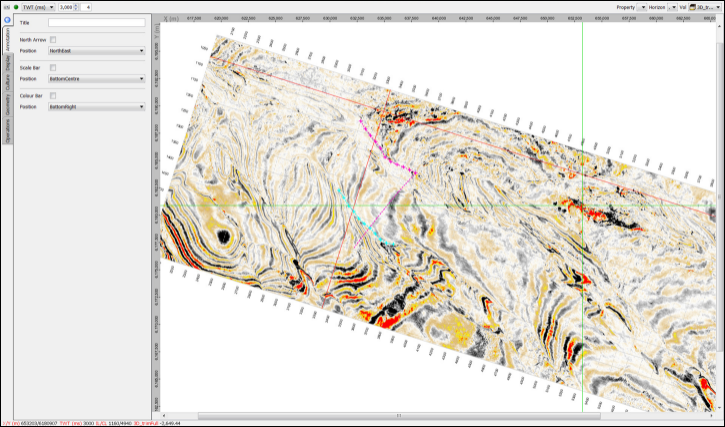 Continue with the next fault points and left-click. These created picks are connected by straight lines. Double-click to place the final pick or right-click to complete the picking. hold Ctrl+left click and drag the point to the correct location. Move to the next Inlines or Crosslines and continue with picking the rest of fault lines (e.g. the next consecutive 20 Inlines). Click the pencil icon again to close the Edit mode and end the fault picking. You may also view and pick the fault in Map View. The small crosses are fault sticks picked in other planes, intersecting the map slice. Picks made on this slice should show as normal round pick icons. 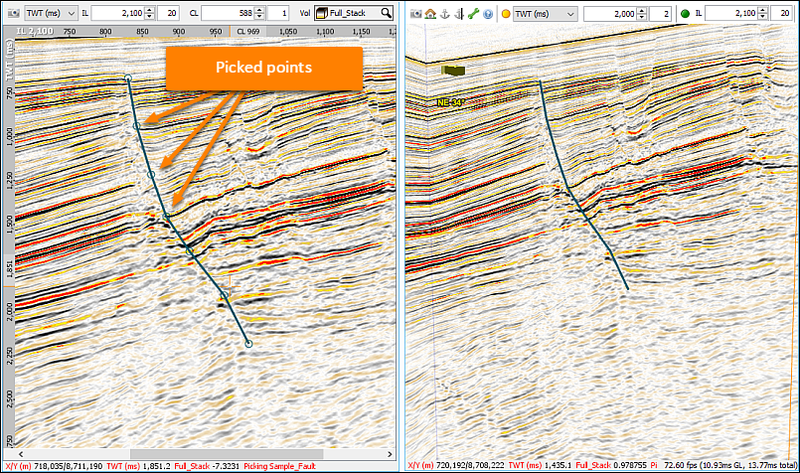 Faults can be picked in the same way in Map View as in any other view. 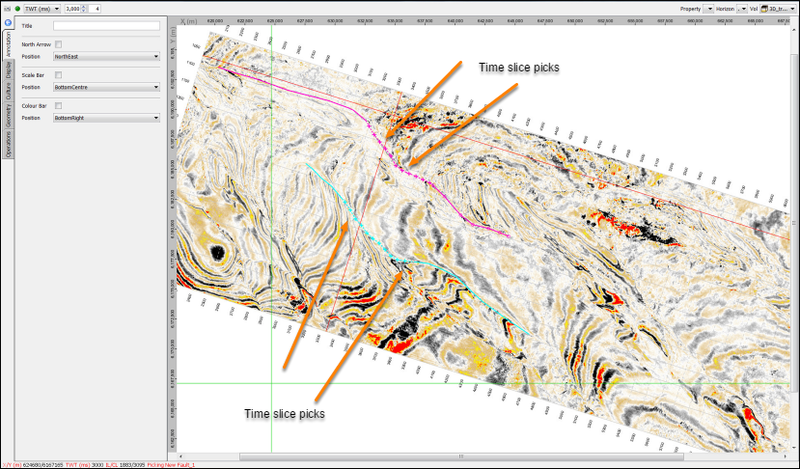 The new picks will be tessellated and will appear in the 3D View as the fault plane.